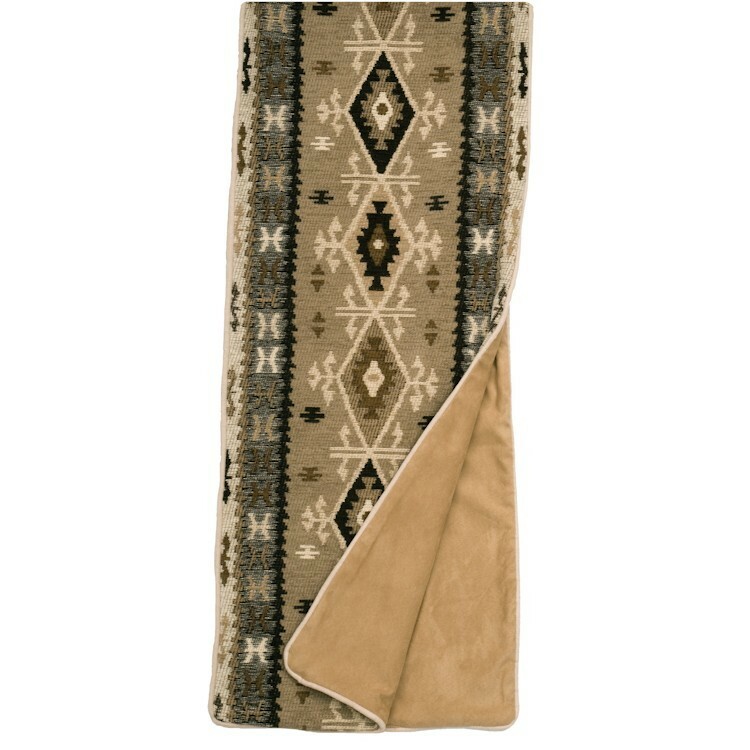 The Mountain Storm Bedding features a solid neutral base with a southwestern flair from the pillow shams and bedskirt. The soft texture and neutral medium brown color will complement most any room and reverses to pale beige. The pillow shams add texture, color and design and the tailored tone on tone bedskirt adds depth and even more texture. 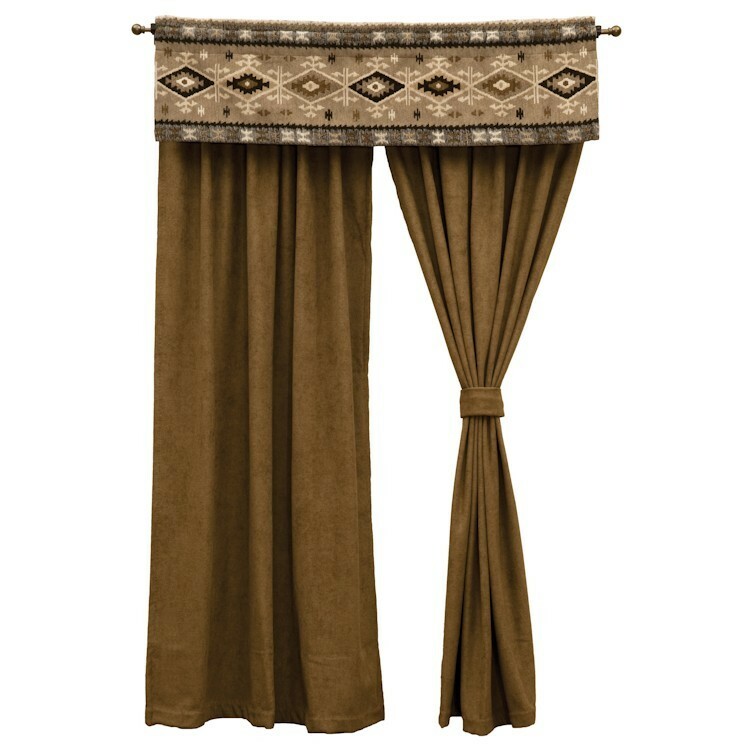 The deluxe sets include three euro shams (2 with a tone on tone chevron design and 1 with wide decorative trim) complete this southwestern style bedding ensemble. 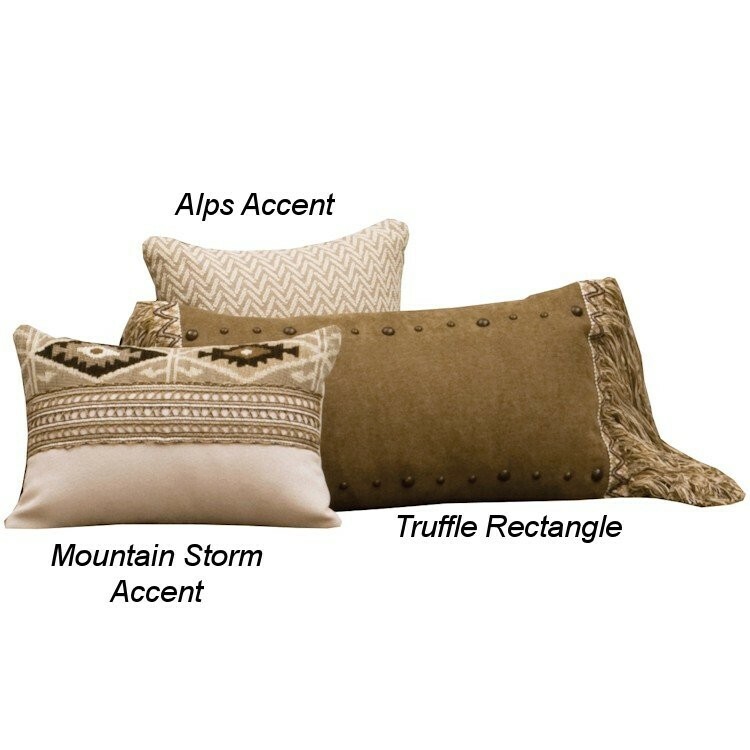 The Mountain Storm Bedding features a solid neutral base with a southwestern flair from the pillow shams and bedskirt. The soft texture and neutral medium brown color will complement most any room and reverses to a pale beige. The pillow shams add texture, color and design and the tailored tone on tone bedskirt adds depth and even more texture. 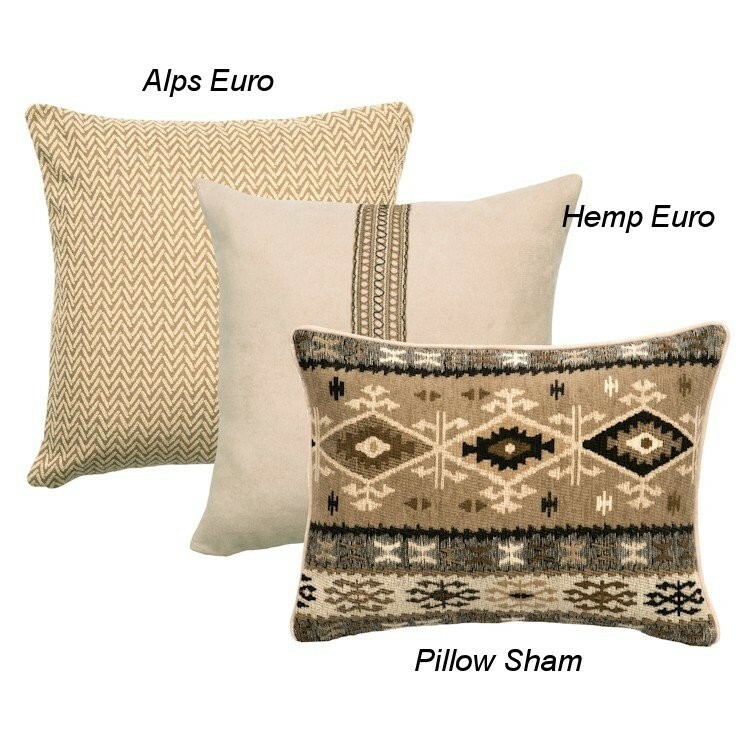 The deluxe sets include three euro shams (2 with a tone on tone chevron design and 1 with wide decorative trim) complete this southwestern style bedding ensemble.